DFIncBackup Home is a free backup program that can help you make full, differential and incremental backups of your files. These backups are then saved to zip archives so that these files are always available to you. So now you don’t have to worry about losing your crucial data when it’s copy is already being saved in a known location. DFIncBackup Home has a compact size of 2.98 MB and can be easily installed in Windows 9X, 2000, XP, 2003, Vista, 2008 and Windows 7. 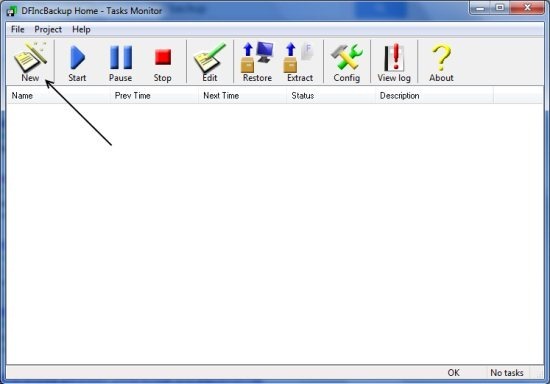 The installation is zippy and quick and does not install any annoying toolbars or additional utility in your system. All you need to do is proceed and the installation completes in a couple of minutes. Incremental Backup: This allows to backup those files that have been modified since the last backup (full or differential). The specialty of this kind of backup is that it is the fastest and also does not take up much space. Differential Backup: This is a backup of those files that have been changed since the last full backup. Once again, this is a smart technique to save space and time. 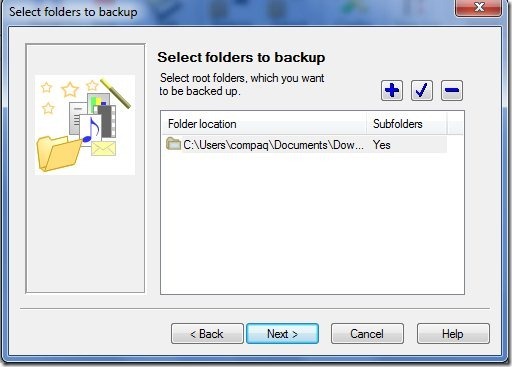 Full Backup: It is done to backup all the files in a certain allocated space. However, this is quite time-consuming and space intensive. So it’s completely your choice as far as the kind of backup is concerned. Creating Backups with DFIncBackup Home means creating new projects. 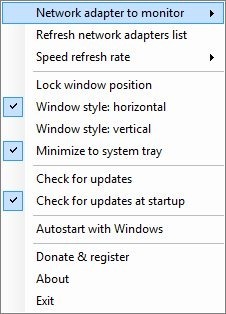 As you can see in the snapshot above, you need to click on ‘New’ icon. 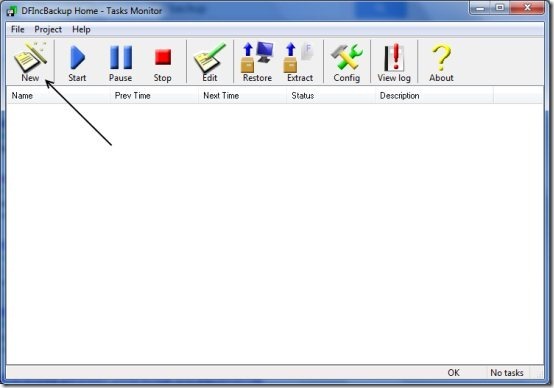 In the next dialog box, you will be asked to enter the project name. Once you proceed, the project wizard will open up where you would be required to enter the information. 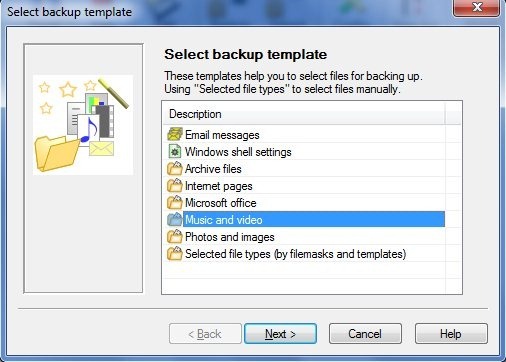 You would have to select a particular template for your backup files. For instance, here we have chosen ‘Music and Video’. In the next step, you would be asked to enter the folders which need to be backed up. 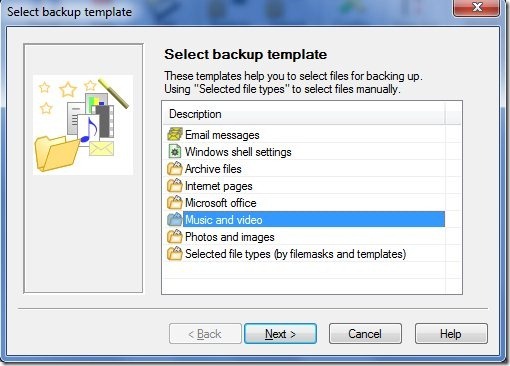 In the next few steps, you would be asked to include or exclude the file types in your backup. This way the given folder would be added to the backup project. You can add more folders to the project or continue without adding. 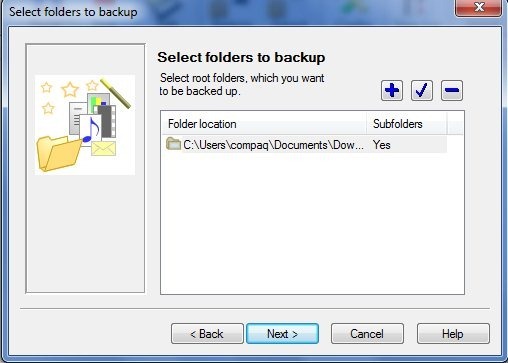 After choosing the target folder or drive, you will have to choose the type of backup. 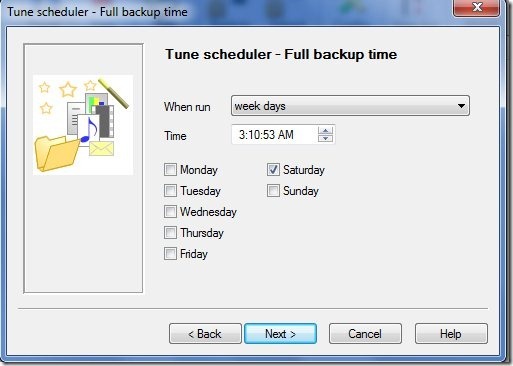 You would also be asked to tune scheduler for full backup. 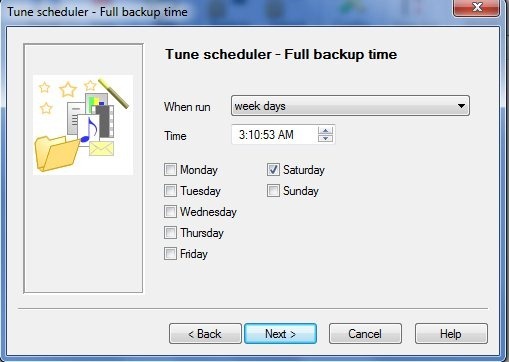 Similarly, the next window would prompt you to tune the scheduler for the kind of backup you have chosen (incremental or differential). Once you are done with the configurations and settings, you can perform the backup. You can even set a password to enhance the security of your files. Other file backup software you can check out are FileSync and Areca backup. Overall, a handy software DFIncBackup Home can be given a try. 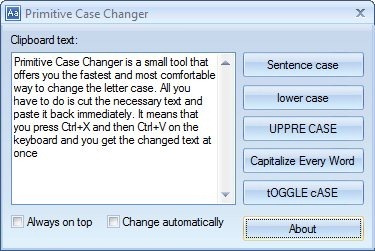 Advanced users can change configurations and perform backups easily. 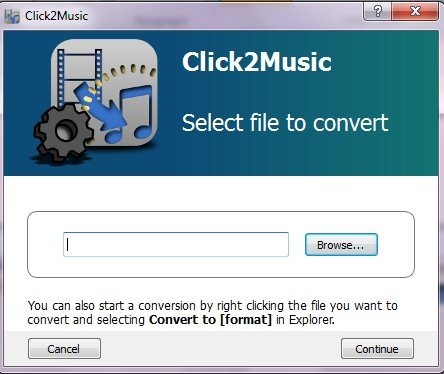 Besides, beginners also won’t face any issue while using this software since the steps are easy. Download DFIncBackup Home for free!